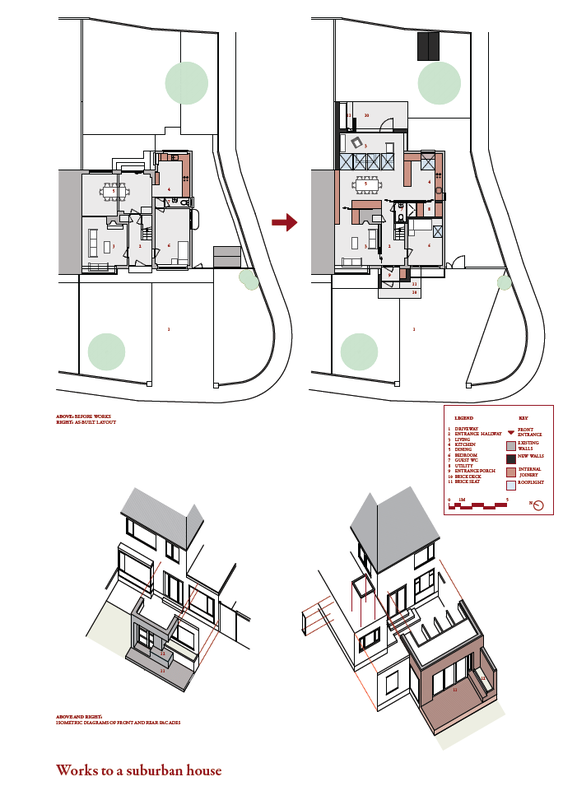 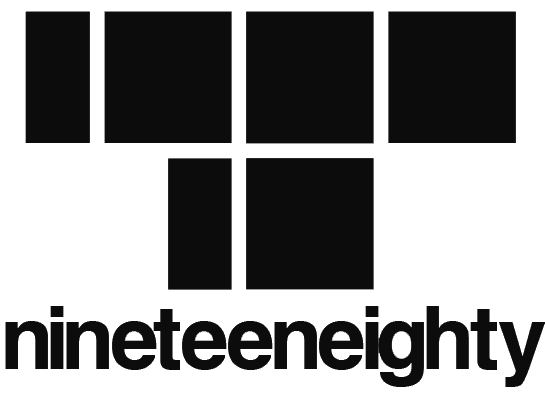 This project develops an appropriate language for interventions to typical semi-detached suburban houses. 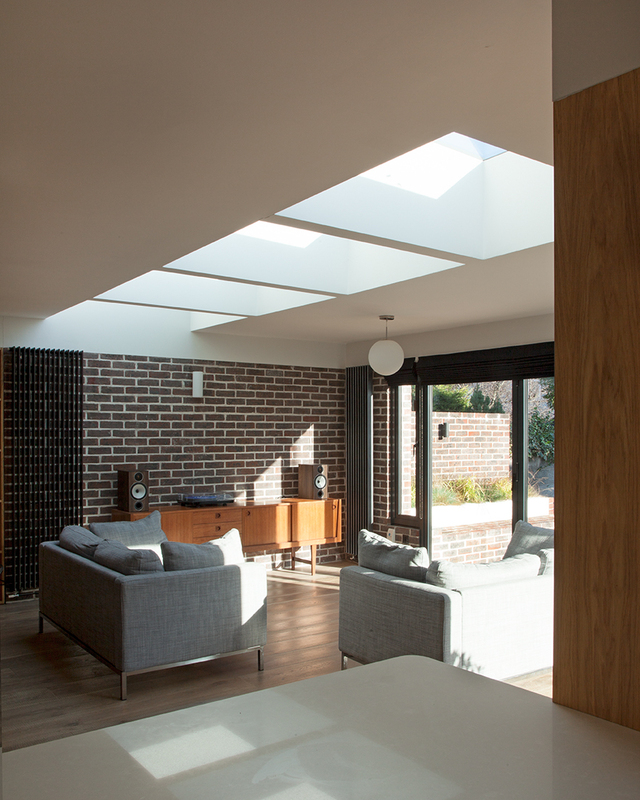 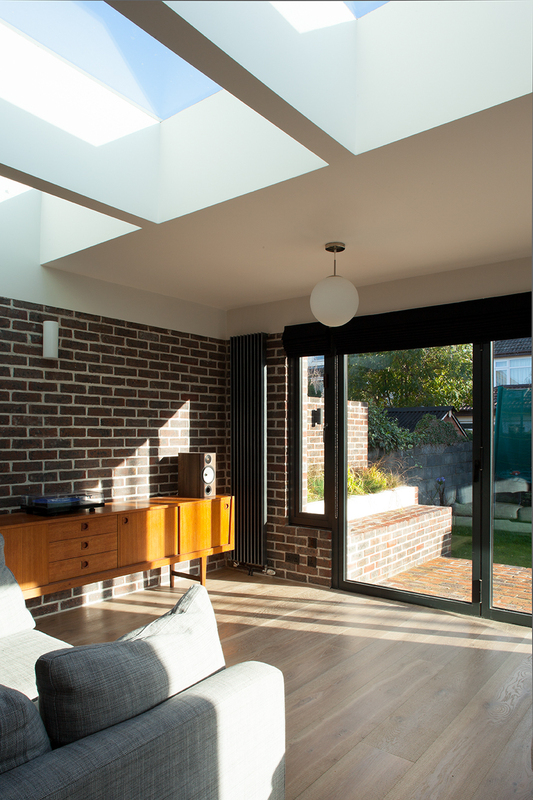 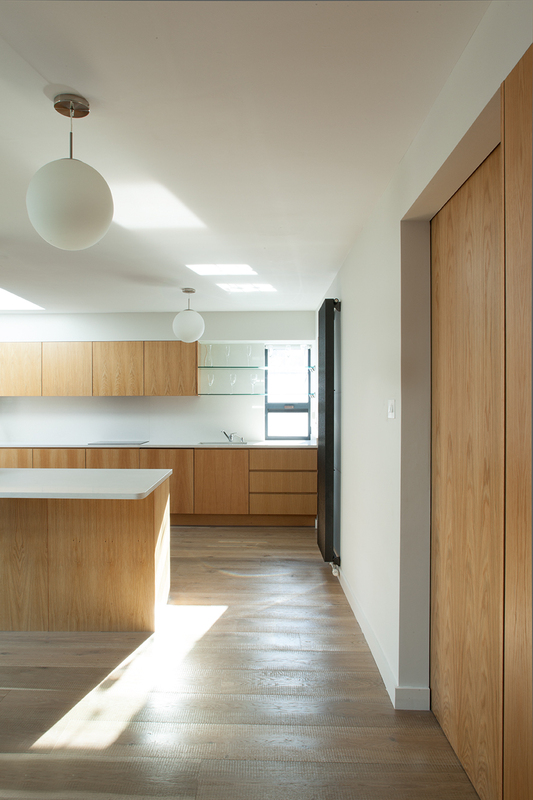 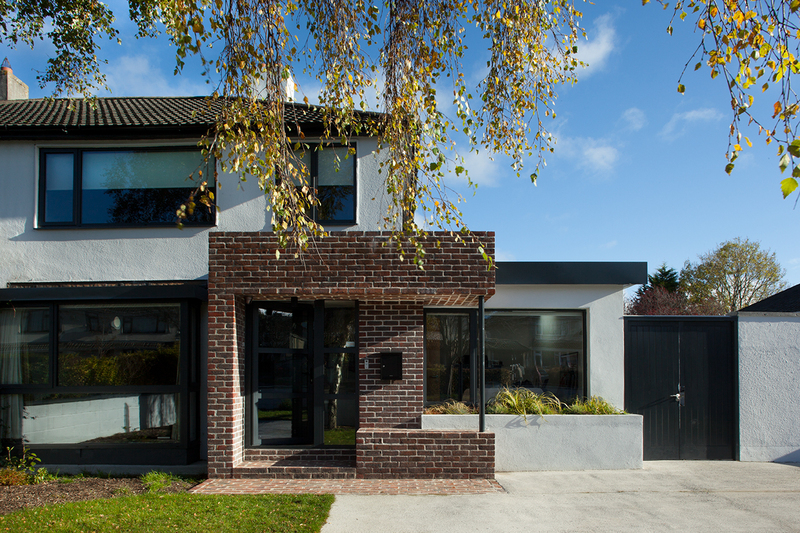 The design for a young family was driven by a limited budget, site constraints imposed by the corner position and a desire to bring natural daylight into the house. 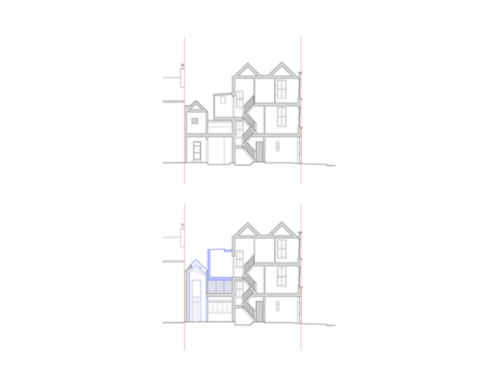 Layers were added to the front and rear facades, creating depth between the gardens and house, especially between the ground floor bedroom and the front driveway. 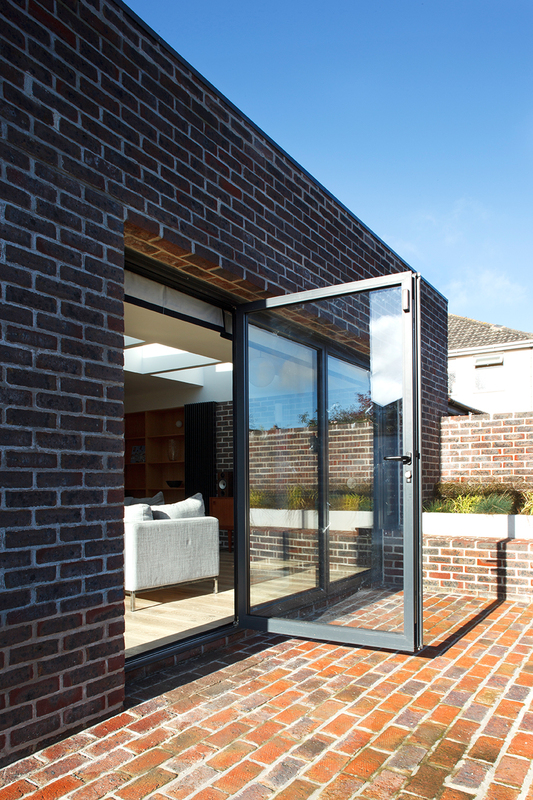 Brick is used in overhangs, on seats and decking, along with rendered planters, to create a rich transition between inside and outside. 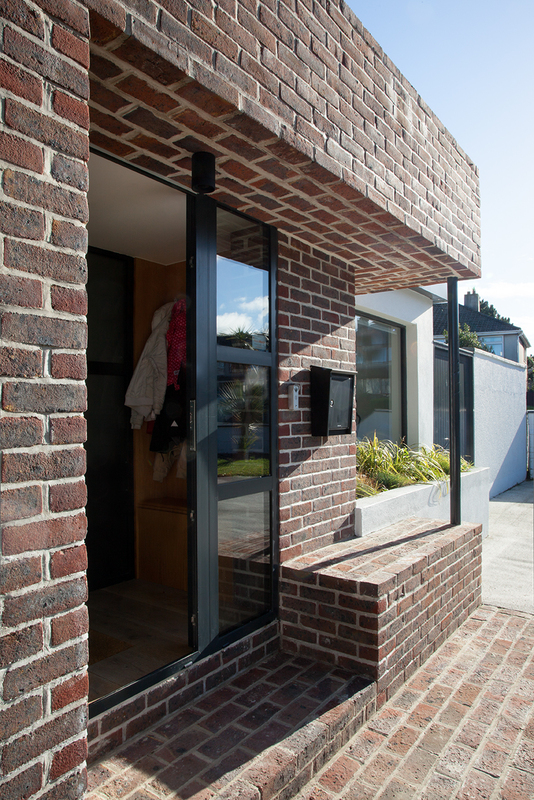 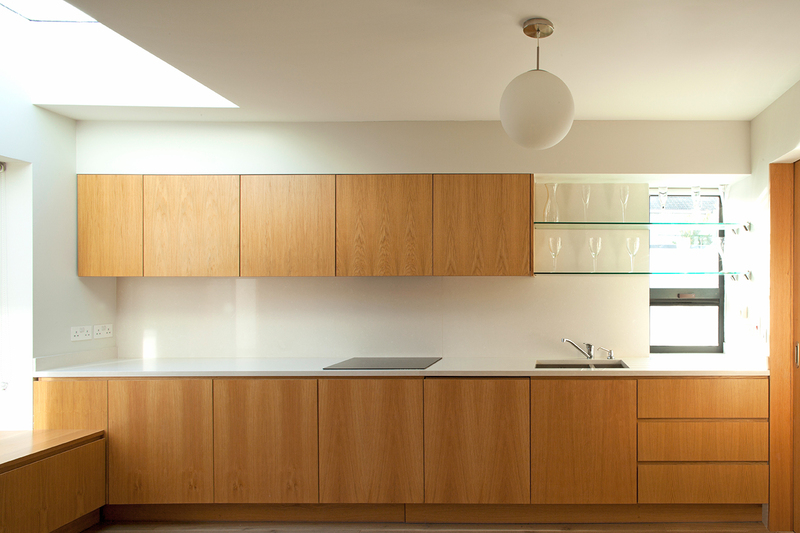 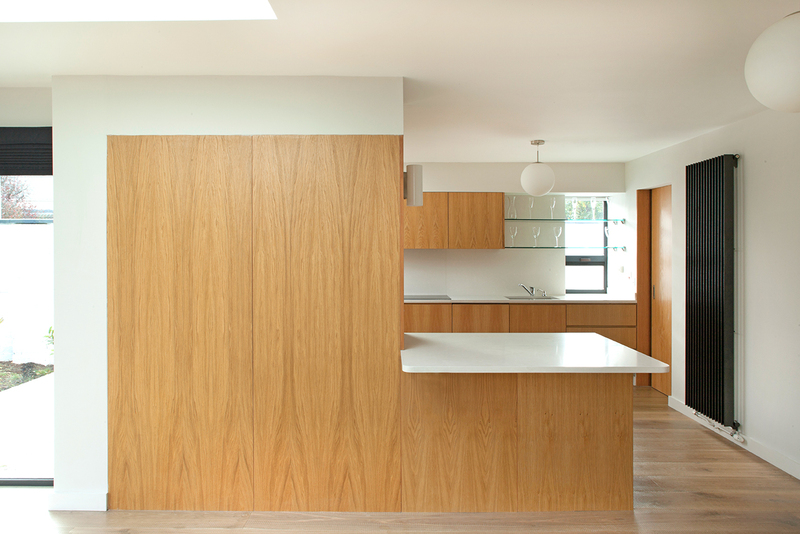 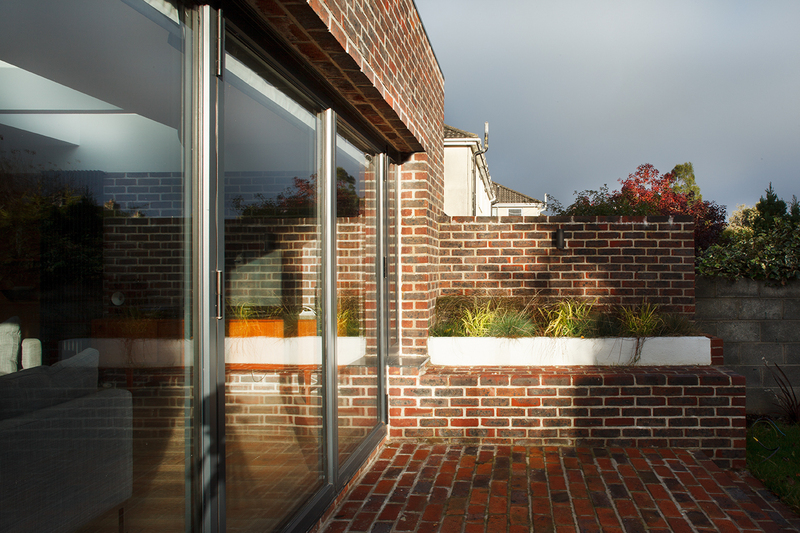 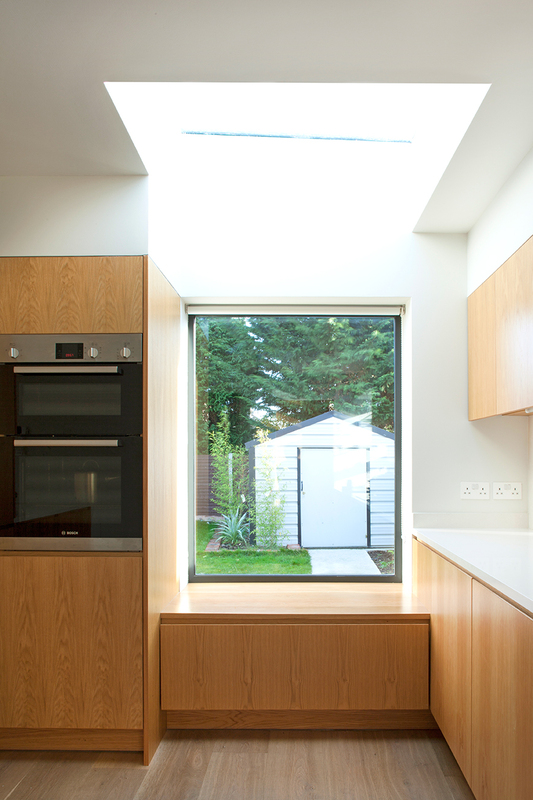 Material and textural quality, and a variety of light conditions, were brought to a typical late 1960s Dublin house. 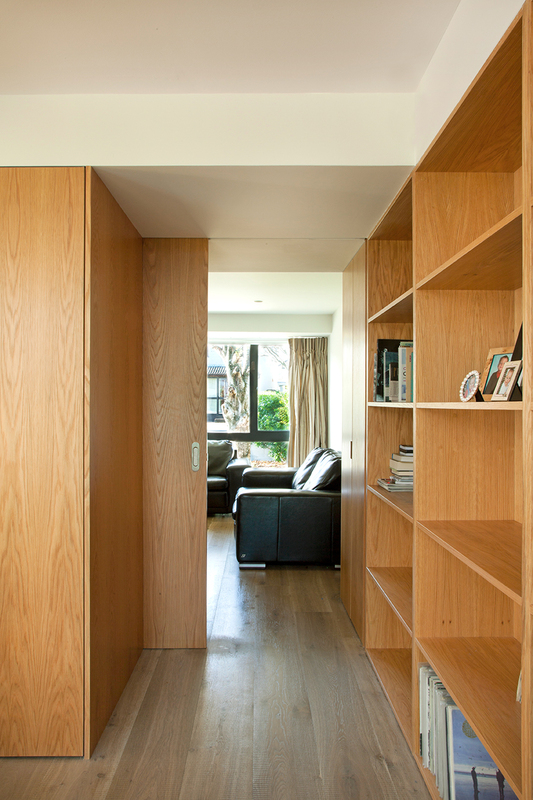 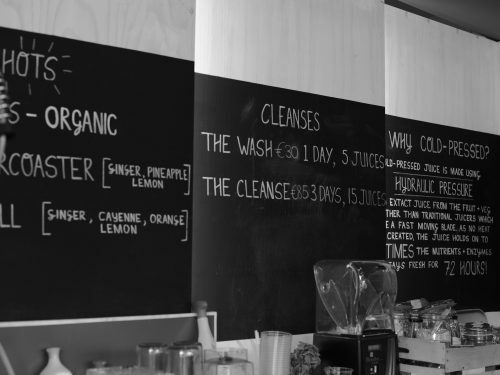 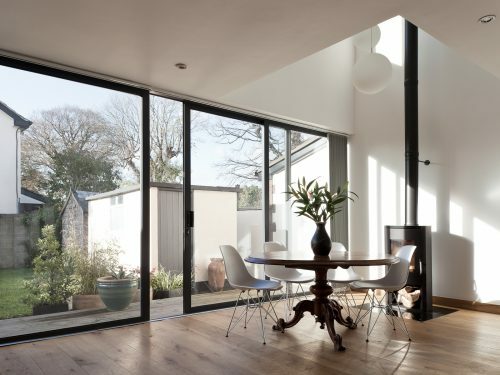 “The manner with which Stephen went about the preparation of the design and the ideas and energy he brought… opened our minds to new ways of living within our house while maximising the use of the existing space.